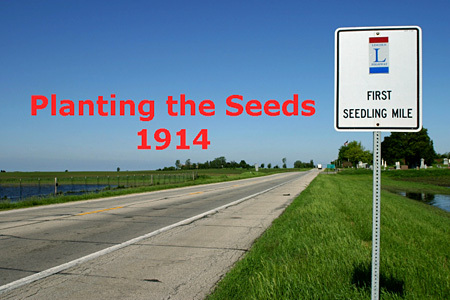 The City of Dixon, Illinois will host the 2010 Lincoln Highway Association National Conference from June 22 – 26. The fun-filled event will feature bus tours of historical sites, a book and collectibles sales room, an art show, a cruise night, a session of presentations, and a visit by President Abraham and Mary Todd Lincoln. Amazingly, the Illinois Chapter worked hard to contain costs and rolled back the registration cost to the 1999 price! The Quality Inn and the Comfort Inn are the two official main hotels for the Conference. The Loveland Community House will be the location of two banquets, the book room, the art show, and the conference speakers. It will not be within walking distance of the hotels but they will help with carpooling.